Web App Development, Web Design, CMS and Drupal | Victoria BC | ExcelSystems Software Development, ULC. Your organization will benefit from our experience doing web development projects for small to large clients including Fortune 500 organizations. We develop custom web applications that increase your revenue or reduce your costs. Our team has experience designing and developing many mission-critical business web applications including eCommerce sites, mobile web apps, sales dashboards, B2B order entry and utility billing. Improve your web presence with professionally designed websites by our team. We create easy to use and easy to maintain websites from the ground up or by using popular CMS solutions such as Drupal and Wordpress. You can maintain the sites yourself without any HTML knowledge. ExcelSystems, part of the Quadrant Group, has been developing software for the IBM i server for more than 20 years, specializing in programmer productivity tools. Our robust product suite is a reflection of our constant innovation and growth. 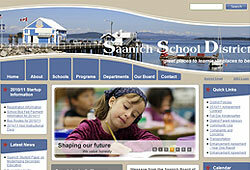 We redesigned and redeveloped the Saanich Saanich School District 63 public web site with Drupal. The existing site was difficult to maintain and needed a new look. 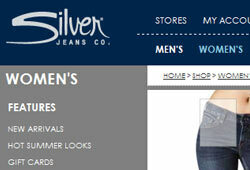 Western Glove Works is one of Canada's largest and best known manufacturers of denim products including Silver Jeans and Jag Jeans. ExcelSystems redeveloped and redesigned their eCommerce web sites and used a single code base for their four sites, each of which has a very unique and distinctive look.